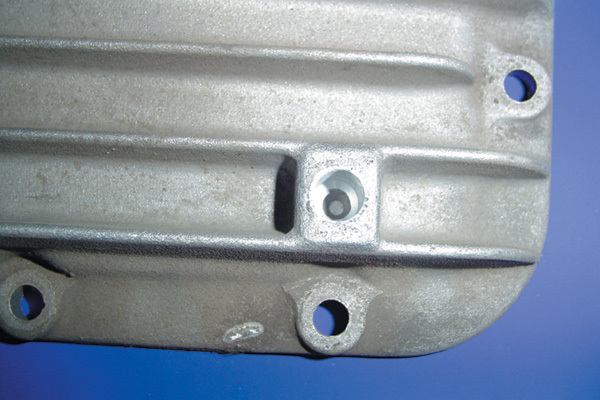 To repair a sheared screw or damaged oil pan threads, you first have to remove them. Drill into the screw set to make a hole 2-3 mm larger than the new screw thread of the new screw. Finely clean the hole. 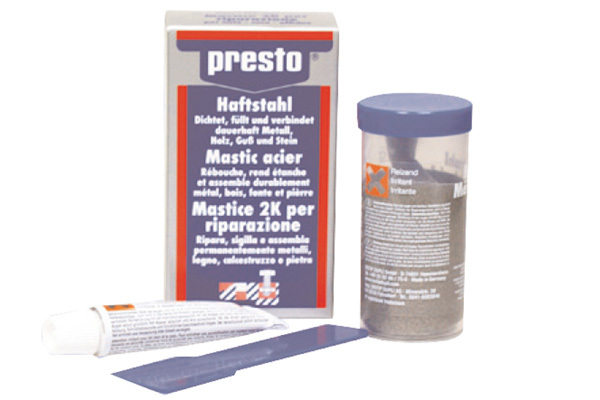 Thoroughly mix hardener with the adhesive steel, paying close attention to the instructions. 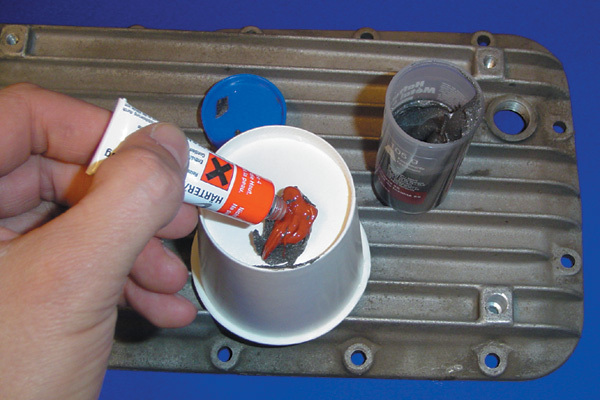 The mixing ratio has to be exact because it is an epoxy system. Thickly pour the mixture into the hole. It is important to avoid any air bubbles. 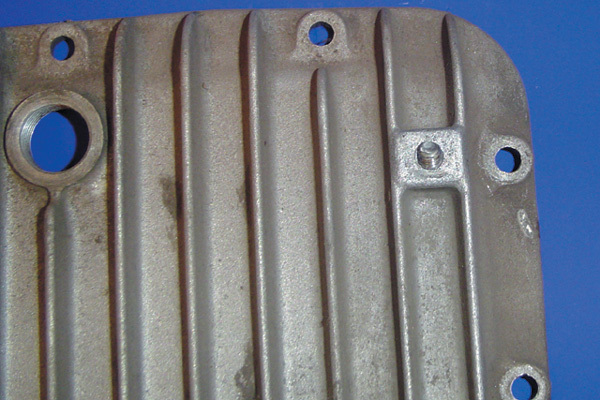 After filling the hole, repeatedly prick the adhesive steel with a needle to thicken and seal the material, if needed. 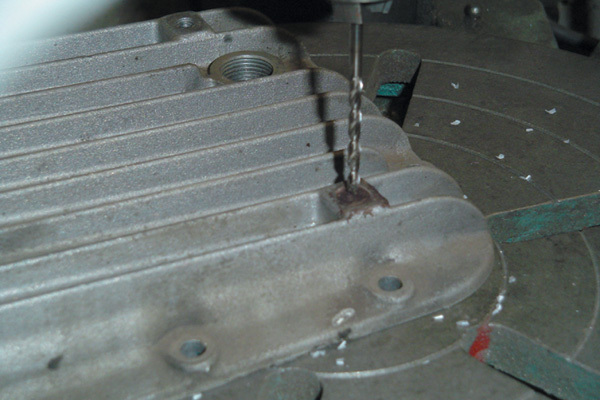 Pre-drill the hardened adhesive steel to the appropriate size according to the thread diameter. 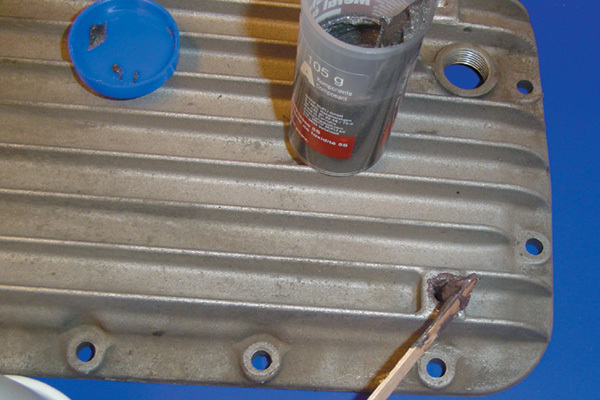 Then use a thread cutter to cut a new thread and your repaired oil pan is ready.